IWASSA Co.: BlackBerry entice iPhone users replace their phones with a fee! BlackBerry entice iPhone users replace their phones with a fee! Although for BlackBerry Passport phone on the unusual design to some extent in terms of dimensions, but he won the super-peer sales. Based on the experiences of users here and there, are very happy to see them using the phone. If you are affected by the introduction, and thinking of buying a new BlackBerry Passport, the Canadian company makes a new attempt; to make the idea of buying something happier for those who wish to do so. No! Will not receive a discount, but beyond that it! Where the company offers you a new program called Trade-In, which specifically targets the iPhone users. 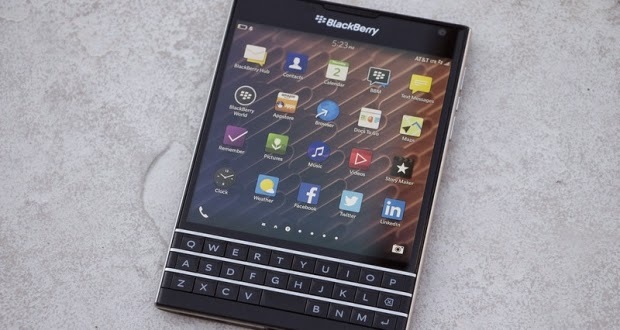 According to a statement the company "for a limited time, users can iPhone as of December 1 to upgrade their BlackBerry Passport and get up to $ 400 instead of their phone the iPhone, as well as an additional $ 150 from the BlackBerry." It is expected that the Trade-In program duration will remain until February 13, 2015, mobile eligible for this offer is the iPhone 4S, the iPhone 5, iPhone 5 and ABS, and iPhone 5 C, and iPhone 6. We know that the new phones Dftm to get them more money, but if you have an old iPhone Melltm of use, this presentation should caress your minds. And now, my owners of the iPhone, and what do you think your analysis in this presentation, whether it is attractive as perceived by others, or is it an attempt would be futile?